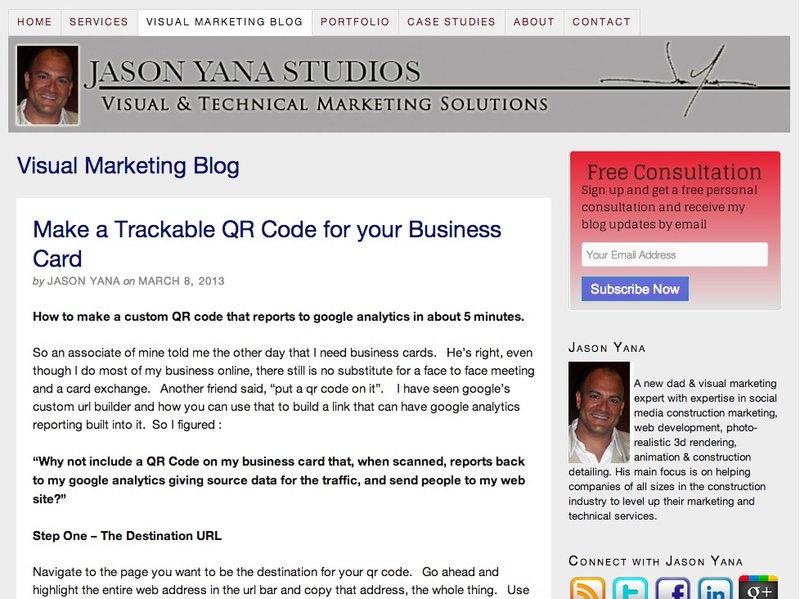 Jason Yana at Jason Yana Studios: Visual Marketing Blog provides an important service for building product and technology companies — the capacity to convert technical material into visually appealing and relevant marketing resources. This skill should not be underestimated, because the challenge of converting jargon into sales, without dumbing things down for the people with the authority and capacity to purchase or specify building solutions, should not be underestimated. How to make a custom QR code that reports to google analytics in about 5 minutes. Overall, his blog is a worthy entry in the Best Construction Blog competition. We are now in the home stretch for voting — the competition closes on April 1 2013, at 5 p.m. You can view the blogs and vote here.